December is proving to be a challenging work month for Invest Hope. After Hurricane Sandy went through, things in Peredo were bad. Not the bad things that Hurricane Isaac brought like fallen trees and destroyed plantain crops, Hurricane Sandy Sandy brought tons of water through Peredo. A new river rushed right through the middle of town where the market is held. Houses were literally washed away with everything inside of them. Gardens were completely washed away. The United Nations is predicting that the "season of hunger" has yet to hit Haiti. I can tell you that food prices in the market have gone up. If our mission is feeling the hit of increase in food prices, imagine how the average Haitian is feeling it. Click here to read an article regarding these predictions. I won't bother putting a sad picture on this post. 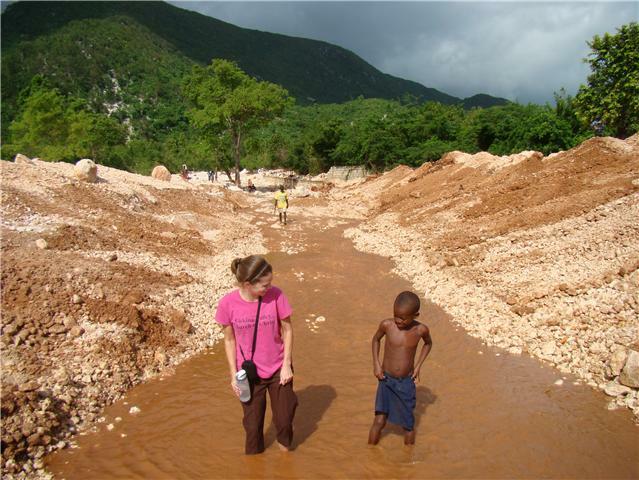 I'm not going to retell one of the many stories of families struggling here in Haiti. But I am going to ask you to pray and support community programs to help the Haitian people be independent and care for their families. America, you can keep your Christmas hype. Parents you can continue to pour time into your Elf on the Shelf ideas while baby Jesus takes a back seat to yet another worldly Christmas idea. Continue to overindulge your children with gifts while justifying it with Black Friday sales and how they are only kids once. Continue to run yourselves silly trying to fit in every Christmas party, program and event. My life was changed 5 years ago when I saw how people who lived in another country and spoke another language needed help. I guess that has changed my perspective on a lot of things. Christmas included. May the holy baby who grew up to be Jesus Christ show mercy on Haiti during the coming months. And may His followers show mercy to mankind in His name.